Scotch whisky exports hit a record £4.70bn in 2018, according to analysis of official HMRC figures, published today by the Scotch Whisky Association (SWA). In 2018, the export value of Scotch whisky grew by 7.8%, and the number of 70cl bottles exported also reached record levels growing to the equivalent of 1.28bn, up by 3.6%. The United States became the first billion-pound export market for Scotch whisky, growing to £1.04bn last year. The EU remains the largest region for exports, accounting for 30% of global value and 36% of global volume. Commenting on the news, Karen Betts, Chief Executive of the Scotch Whisky Association, said: "2018 was another year of strong export growth for Scotch whisky, attesting to its enduring popularity in different countries and among cultures right across the world. 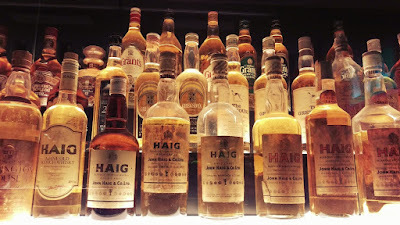 Quite simply, Scotch whisky remains the whisky everyone wants to drink." She concluded by saying: "However, the industry does not take continued growth for granted. We operate in a competitive global marketplace and so a competitive business environment in Scotland and across the UK is vital to Scotch Whisky's success." The Scotch Whisky Association, has also made it clear that it wants to see the UK and EU agree to an open and positive future relationship, which delivers frictionless trade with the EU, and the UK to secure trading relationships with key markets around the world.